Updating the IEEE e-Government index of experts for 2014 IEEE Computer Society e-Government is updating their index of e-Government experts for 2014 (for conferences committees, workgroups, etc.). If you are interested in being part of this list you can download the document and send it to us with your info required (you only need a couple of minutes to fill it). The document can be downloaded from this link within our "Links" page. 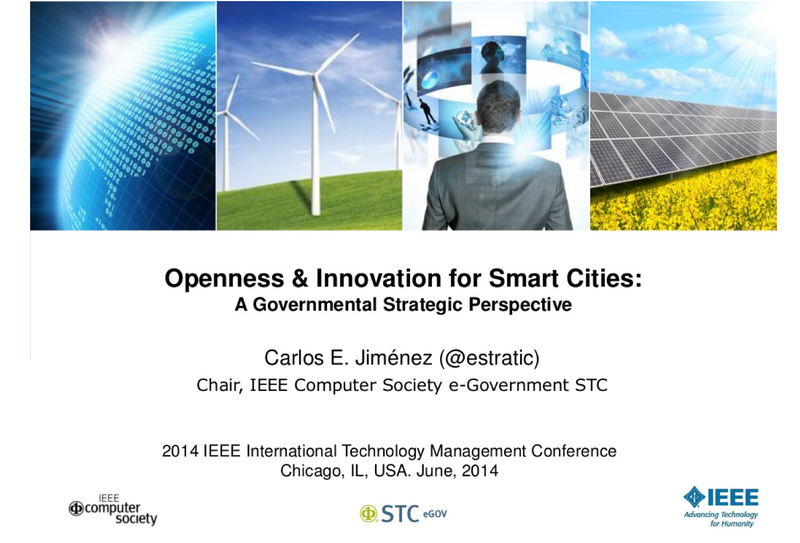 Smart Territories' Governance (I): ...When Interoperability and Big Data meet Open Government Presentation of the IEEE Computer Society e-Government experts, Prof. Francisco Falcone & Carlos E. Jimenez, on May 10th 2013 in Tarragona, Spain, invited by the Computer Engineering and Mathematics Department (DEIM) of the Rovira i Virgili University. Speakers explain their holistic perspective of key technologies and its aligment's importance, in Public Organizations. Documents. 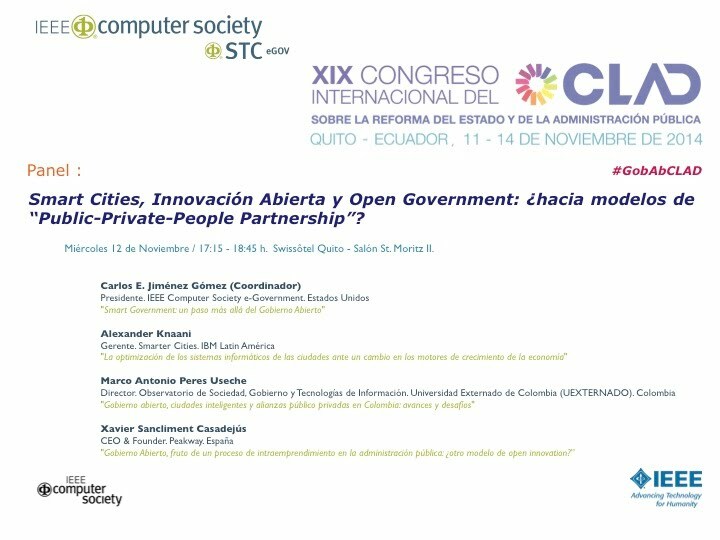 © Copyright 2012 IEEE CS – All rights reserved. Use of this Web site signifies your agreement to the terms and conditions.